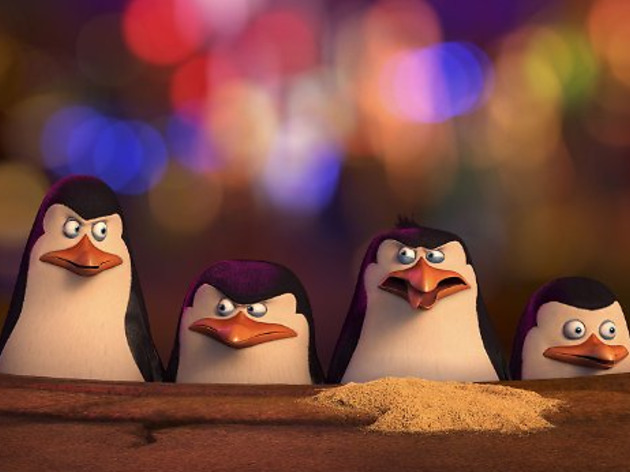 There’s a brilliant gag at the start of this penguin-filled spin-off of the ‘Madagascar’ cartoon franchise. The instantly recognisable voice of German director Werner Herzog narrates David Attenborough-style as a colony of adorable penguins migrates across the snowy wastes of Antarctica. Herzog giggles like a blushing schoolgirl as the penguins fall on their ‘chubby bum-bums’ – a very funny pisstake of the savage vision of nature in his own Antarctica doc ‘Encounters at the End of the World’. Film-loving parents, that’s your one lol. 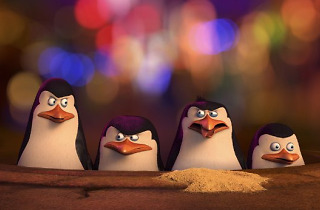 Everything else in this caper for kids is decent enough, as a SWAT team of penguins – Skipper, Kowalski, Rico, and Private – take on an octopus called Dave. He’s concocted a mwah-ha-ha plan to steal all the penguins in the world. Benedict Cumberbatch is the voice of a hoity-toity secret-agent wolf, Classified. The film is frantic and silly and our biggest gripe is that all the penguins look the same.